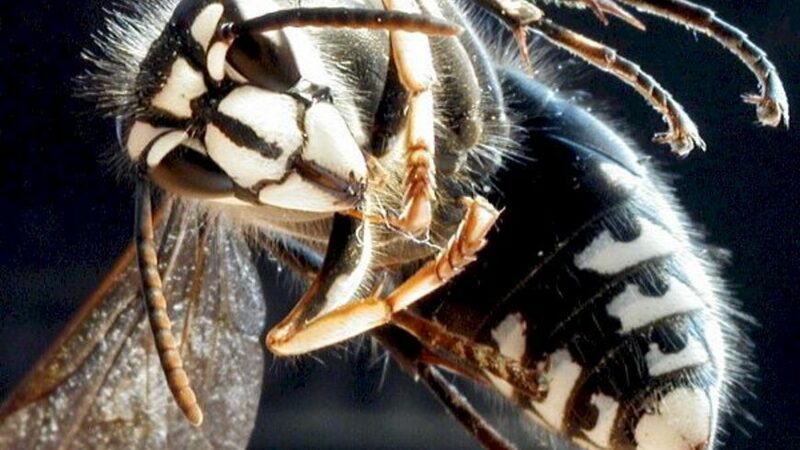 The bald-faced hornet is a large wasp, about 9/16" to 13/16", with a white pattern on its head and the last two abdominal segments. 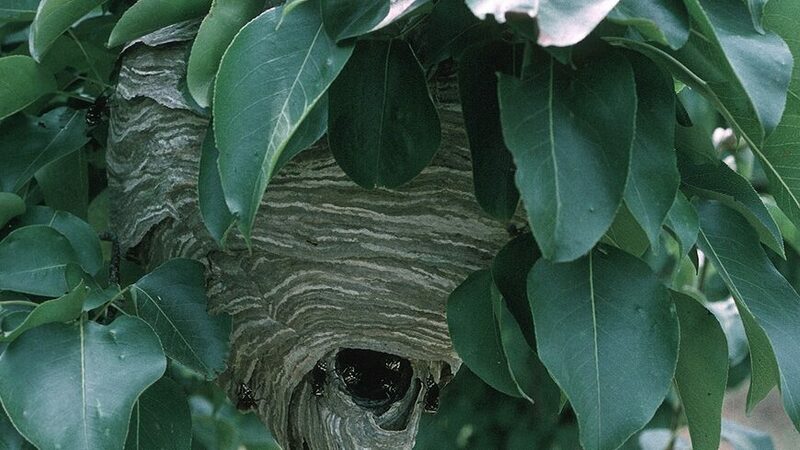 A social wasp, it makes a large, basketball-sized paper nest in shrubs and trees and under eaves and porches. The hive's members perform various jobs that revolve around raising and caring for larvae. 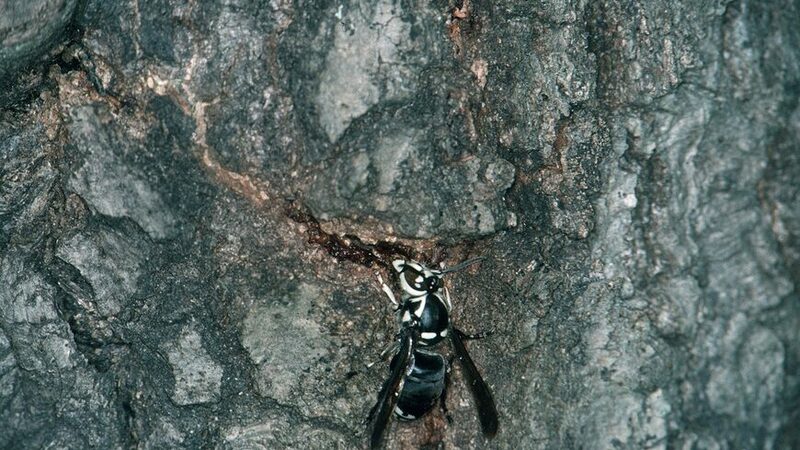 When temperatures warm to about 60 F, the impregnated queens begin chewing woody material to construct the first part of the paper nest. 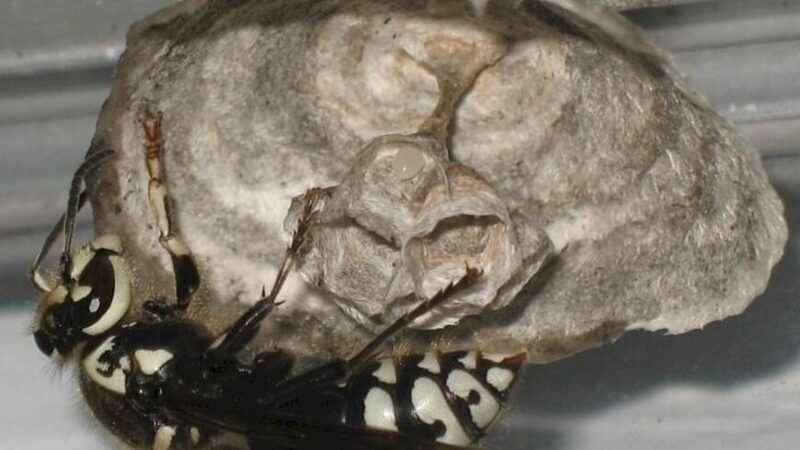 The woody material mixes with the starch in their saliva and with their forelegs they spread a thin layer of the mixture over the hive which dries into paper. Once the covering is made, the first comb of cells is created; a horizontal platform full of cells for eggs. 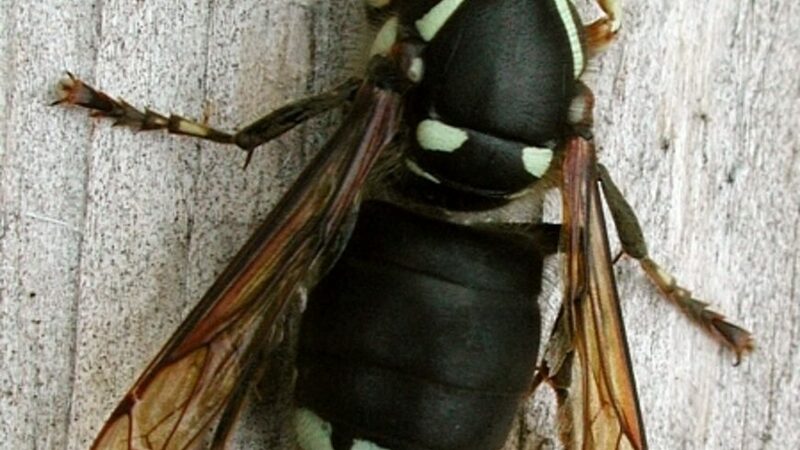 The adults feed the larvae insects while they feed on nectar from flowers. 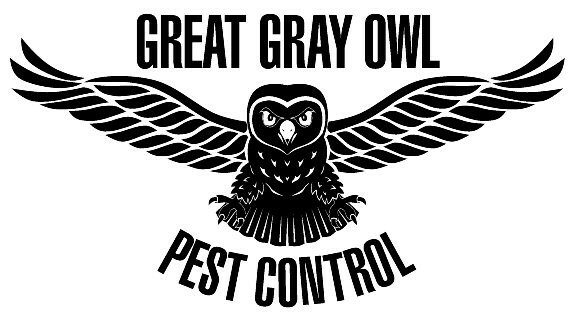 The early broods are all female; who in turn create the paper covering to expand the nest to its full size.The hive's outer covering is extremely thin and can be destroyed by a strong, late summer thunderstorm. 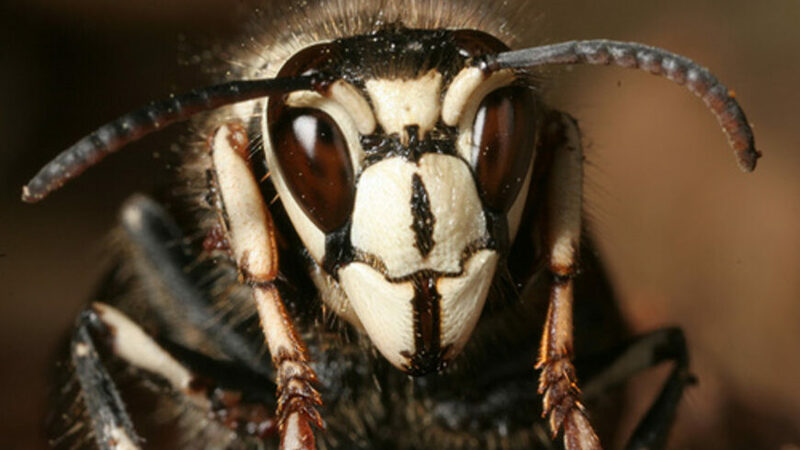 Bald-faced hornets aggressively defend their nest against any would-be intruders using scent marking to hone in where to strike. 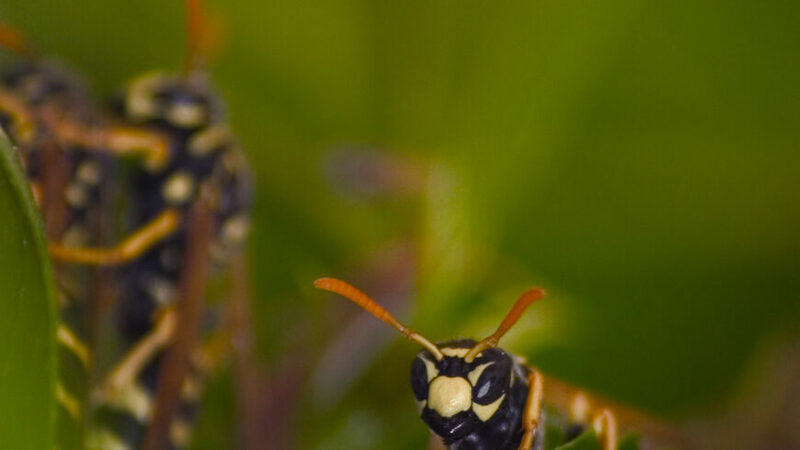 Easily provoked and extremely aggressive attackers, they can sting repeatedly.